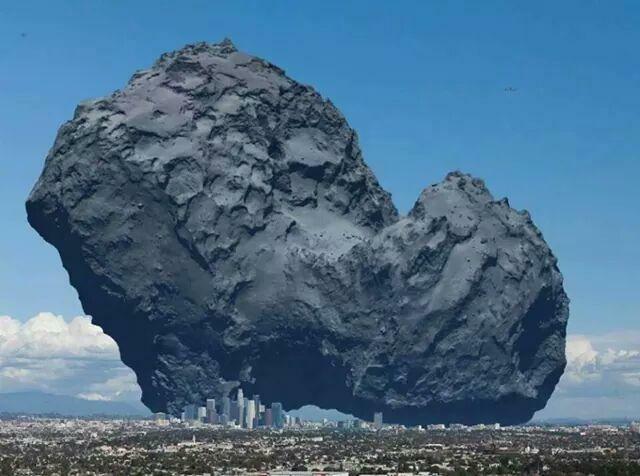 That comet Rosetta finally met up with after ten years of traveling doesn’t look so scary, right? Just a coarse space rock—nothing special. In actuality, the thing is scary huge. 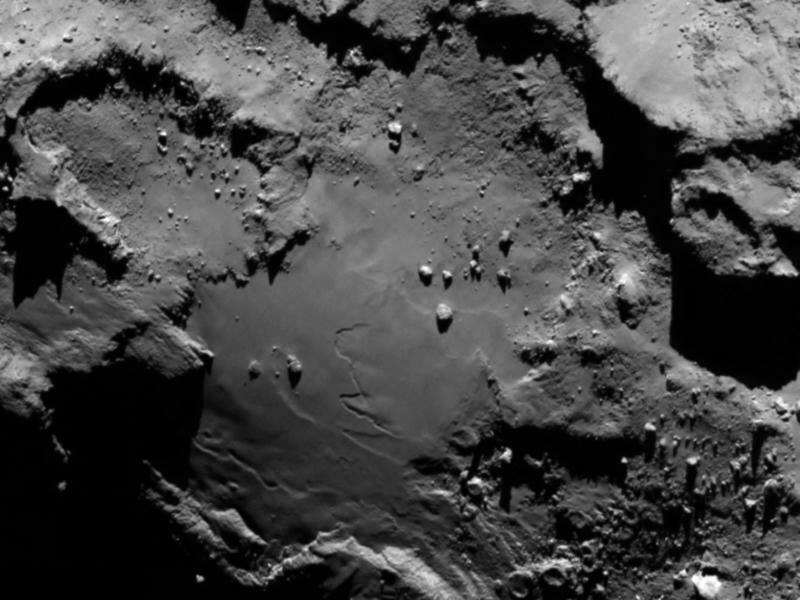 You see that teensy little city in the comet’s shadow (pictured below)? That’s (we think) Los Angeles. It, along with the surrounding areas, would be completely wiped out if it managed hit Earth. Do you appreciate the size now? The European Space Agency’s Rosetta satellite snapped the above picture after approaching the massive comet, which is estimated to be about 3k wide. You can easily walk 3K in about an hour, give or take. But put that into perspective of a space rock that’s traveling at thousands of miles per hour, and it becomes a lot more frightening. The purpose of Rosetta’s long mission is to study one of these beasts up close, and observe how the comet changes as it crosses the sun’s path. The ESA plans to try and land a probe being carried by Rosetta onto comet 67P/CG this november, which will then drill into the rock’s surface. The hope is that scientists will get a better understand about the origin and evolution of our solar system.